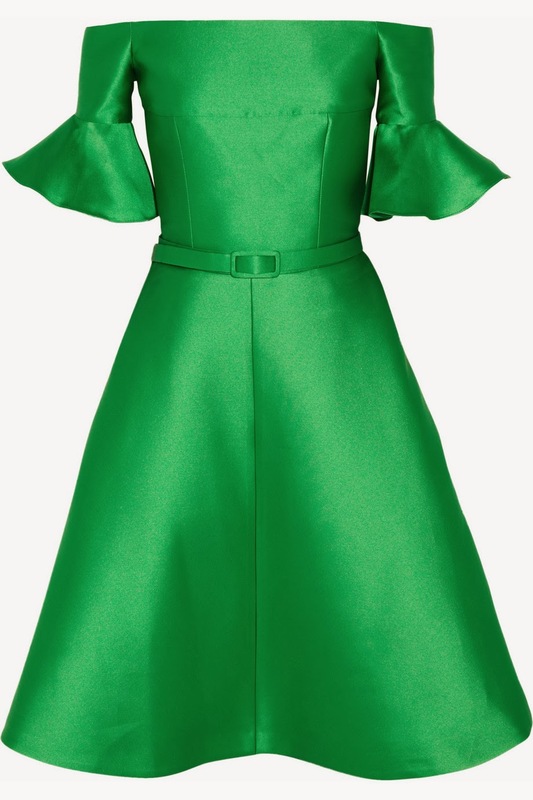 Couture Carrie: Go Green or Go Home! Happy St. Patrick's Day, darlings! From haute emerald handbags to gorgeous green gowns, there's certainly a perfect piece for every one of CC's fellow fashionistas in this festive post! 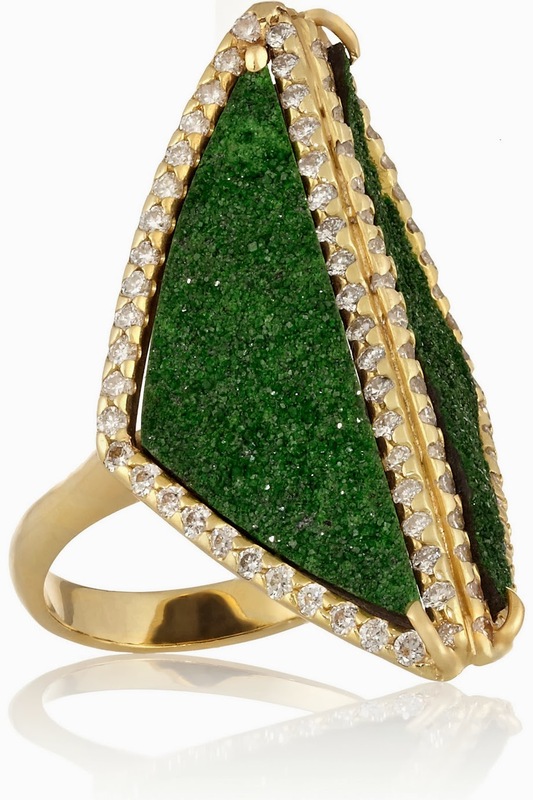 Kimberly McDonald 18-karat gold Uvarovite, garnet and diamond ring, at net-a-porter.com. 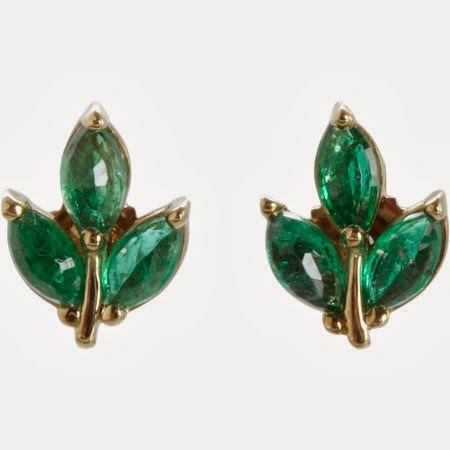 Finn emerald leaf stud earrings, at barneys.com. Aquazurra Amazon cutout suede sandals, at net-a-porter.com. 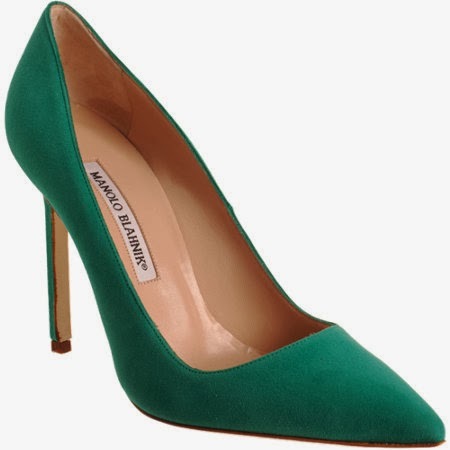 Manolo Blahnik suede BB pump, at barneys.com. 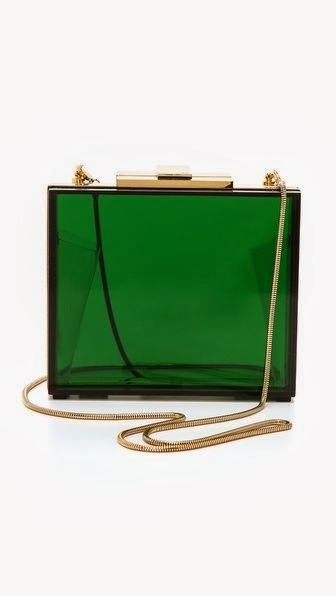 Halston Heritage square box minaudiere, at shopbop.com. 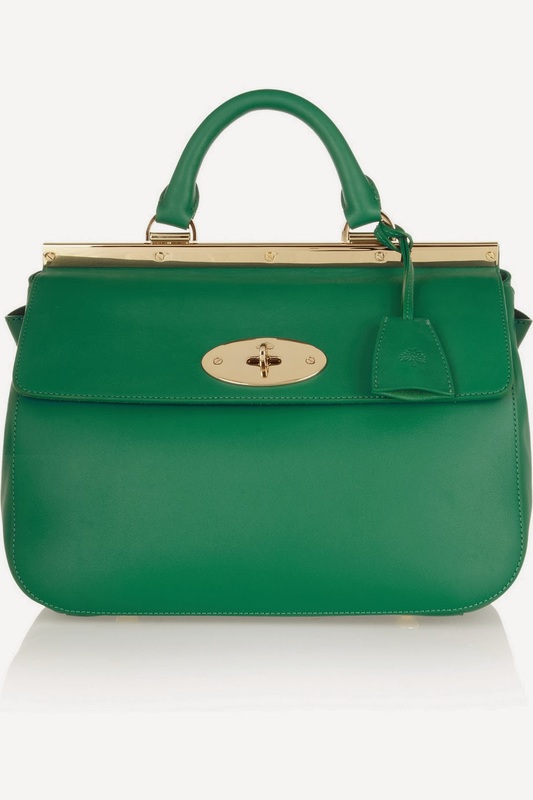 Mulberry Suffolk small leather tote, at net-a-porter.com. 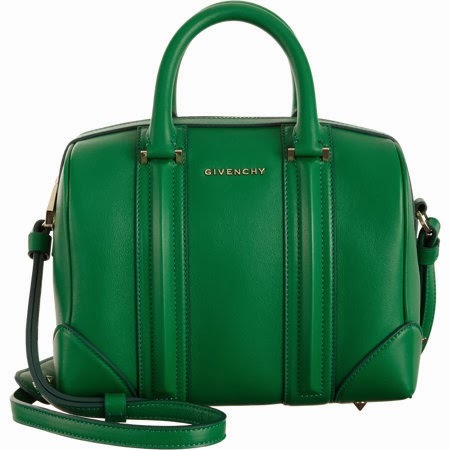 Givenchy small Lucrezia duffel, at barneys.com. Michael Michael Kors embellished ponte top, at net-a-porter.com. 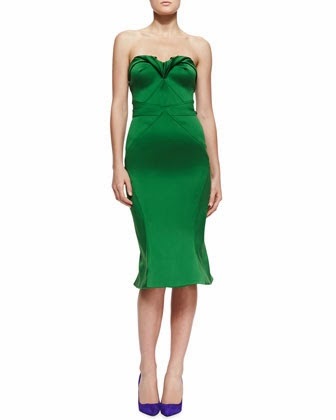 Zac Posen strapless sweetheart satin dress, at bergdorfgoodman.com. RED Valentino Faille Point d'Esprit dress, at shopbop.com. 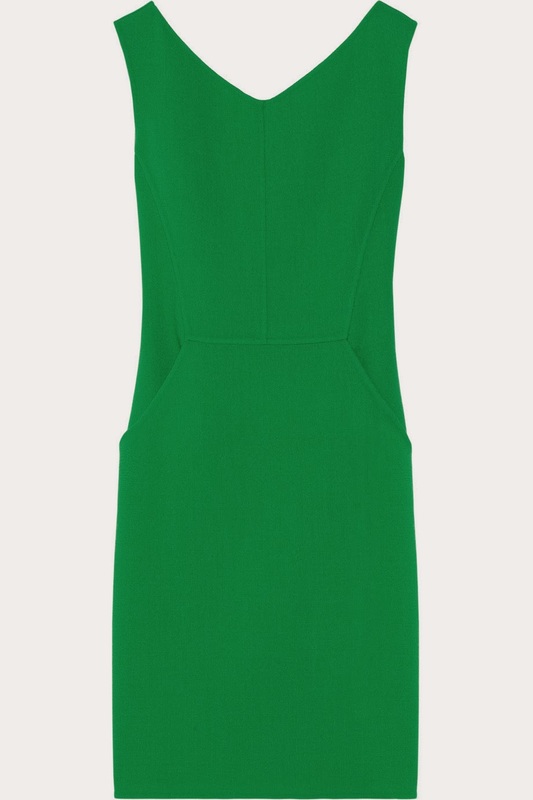 Oscar de la Renta wool-crepe dress; this and next at net-a-porter.com. 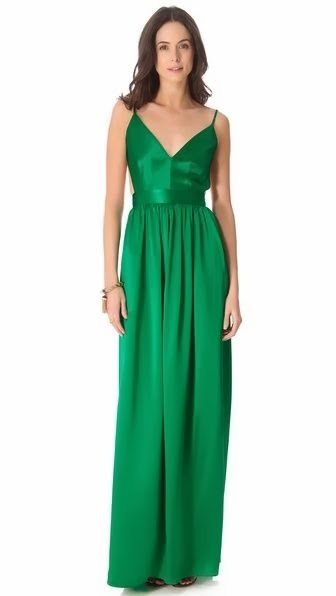 ONE by Contrarian Babs Bibb maxi dress, at shopbop.com. 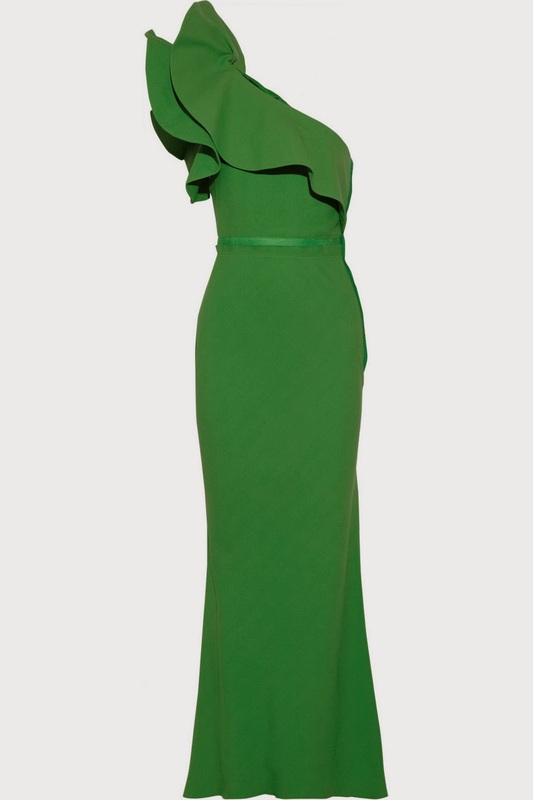 Lanvin one-shoulder ruffled-crepe gown, at net-a-porter.com. Deborah Marquit Giardino di Fiori lace bra and brief, at net-a-porter.com. Milly Punta Cana string bikini, at shopbop.com. Essie nail polish in Shake Your $$ Maker, at essie.com. Which of these gorgeous greens are you loving? i'll take the shoes and bag! ME ENCANTA ESTE VERDE ESMERALDA!!! FAVORECE MUCHO. Those Aquazzura heels are phenom!! Gorgeous! Love that Zac Posen dress! I would not mind that lovely Halston Heritage bag. It's gorgeous! I'm loving all this green! Those emeralds are gorgeous. Everything green is looking fantastic today. The Michael Kors embellished ponte top and the dresses all look beautiful and I love, love, love the green lingerie! I can't believe I didn't buy any for a Saint Patrick's Day post. I absolutely must for next year. I do love green. Such a fun colour to wear. I love the green shade of the Manolos! 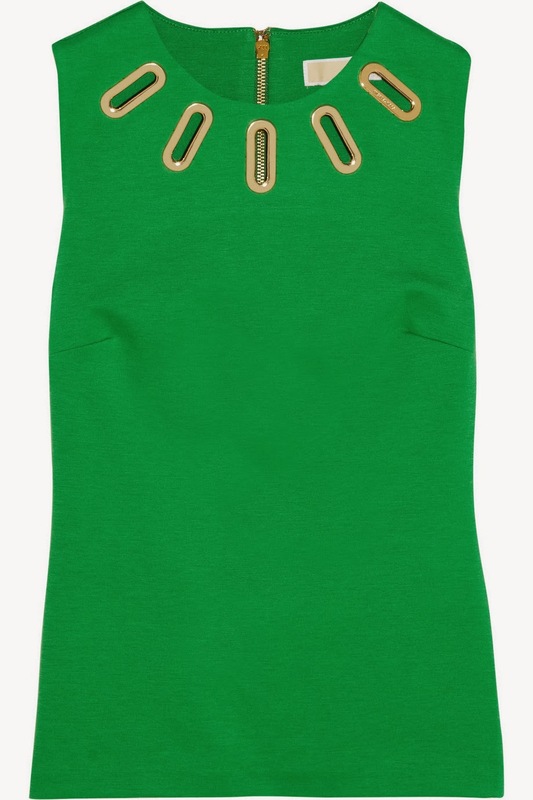 I am so in love with green at the moment especially this shade. I have been wearing so much of it and I have an emerald coat that I purchased not too long ago. This is one of my favourite ever posts of yours. the first ring is incredible. Great picks - In love with EVERY piece!